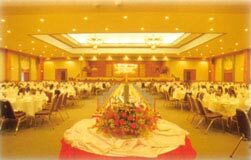 Right on the bank of the Mekong river sits Royal Mekong Nongkhai Hotel. 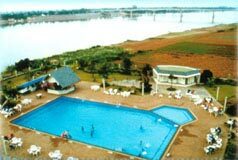 From the hotel ones can have views of the Mekong river between Laos and Thailand, the friendship bridge linking the two countries and the surrounding scenery of the farmlands and water lives. 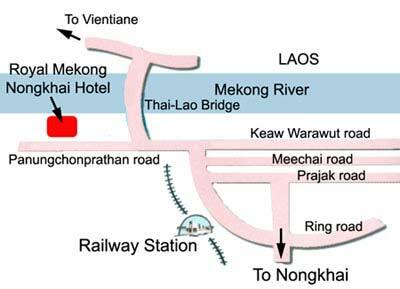 Yet the hotel is just a few minutes drive from Nong Khai city - the gate way to Laos. 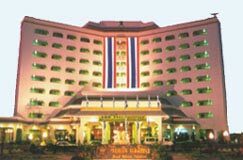 Being one of the best accommodations in Nong Khai, Royal Mekong offers range of facilities, modern rooms, business and travel services. 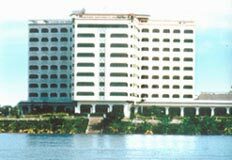 The 9 storey - 208 rooms hotel offers good international class tourist facilities including room service, laundry, swimming pool, restaurant and bar, travel and tours desk. 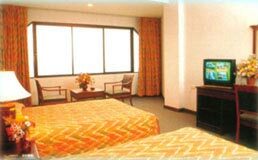 In addition, the hotel provides business and seminor services in full facilities function room. 222 Panungchonprathan Road. Jommanee Beach. Guanwan Muang Nong Khai 43000. 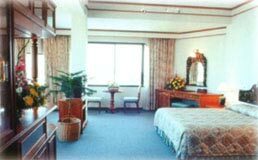 Phone: 042-420 024, 042-465 777 ~ 81. Fax: 042-421 280.